USB Extenders can be useful in a variety of situations. In instances where security is a concern a KVM extender can remove the computing device from the end users location. In areas that are not computer friendly, such as industrial or manufacturing sites, the extender allows the computing device to be located in a clean safe environment. KVM extension devices are also valuable in situations where noise from the computing device is unacceptable such as broadcast booths. KVM extenders are also useful in retail and office situations in which the computing device is located in a back room or data center. Our diverse product offerings of KVM extenders will address any of your needs; wireless KVM extenders will eliminate the need to run cabling but are limited in distance, while CAT5 (copper) extenders will grant you great video resolution, quality and more extension. In addition, our selection of DVI and Fiber extenders will provide longer extension, greater security and the highest resolutions. 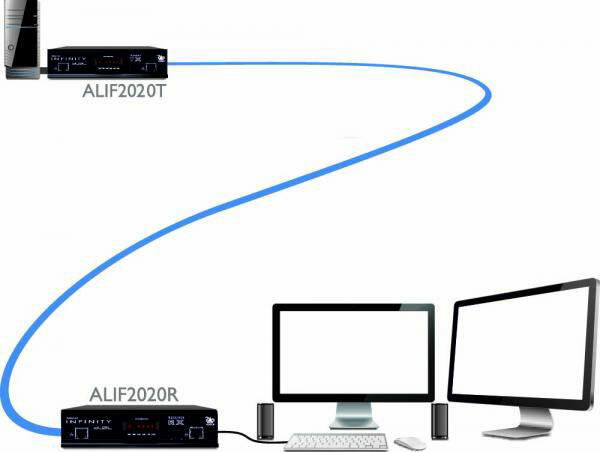 Networked extenders offer connectivity through a dedicated LAN segment and some models even offer KVM switching between computing devices. 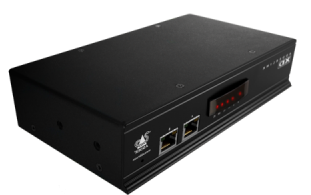 Cat5 KVM Extenders are the most popular of the group since they offer the most flexibility and compatibility for the cost. 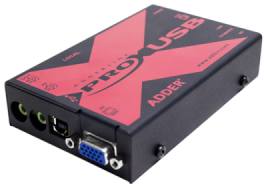 If you need to extend your console less than 1,000' and can run Cat5 from your computer to your console then a Cat5 KVM Extender will be the best solution for you. You can use already existing Cat5 in your building as well to simplify the process. This cable can not be going through any hub or switch and has to be point-to-point. Manufacturers say the cable has to be from end to end without going through any patch panels but we have done installations where it has worked without any problems. If you are going through a patch panel make sure all the connections are correct and secure before proceeding. If you go through a patch panel and are having problems we will recommend trying it without a patch panel to see if the unit is still good. 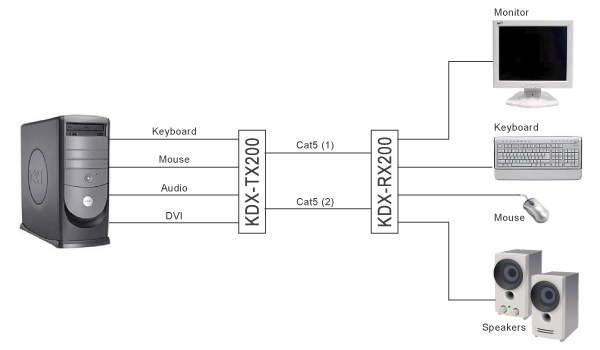 With Cat5 KVM Extenders there are some that also offer to extend serial and audio devices. For most instances these are not necessary but there are instances where these options would be essential. For instance, if you work in a recording studio and need to have your console in a silent room you could put your Keyboard, Monitor, Mouse, Speakers and Microphone in the room with you and have your computer isolated in another room so the noise can not be heard. 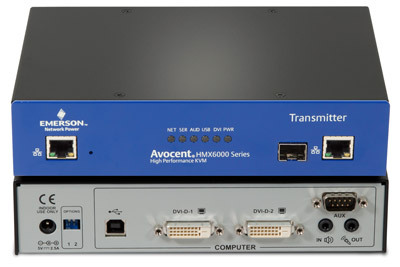 A great selection for this would be the Avocent LongView LV830-AM since it is a multimedia KVM Extender that also allows you to have a local console next to the computer in addition to being up to 500' away. A Fiber Extender is a very niche product and the least common of all. They offer the benefits of offering great video quality and being able to do this at very long distance. The Fiber Extender can allow you to extend your console up to 10,000 meters or 6 Miles on only 2 strands of fiber. The majority of installations with Fiber Extenders are on campuses with fiber already laid and also in instances where security is of major concern and KVM Over IP is out of the question. With Coax Extension Cables you can extend your Keyboard, Monitor and Mouse (generally no other peripherals are supported) up to 60' uses bonded KVM Cables. While these cables are much less expensive then the other KVM Extenders available the cables are much bulkier and more cumbersome to run than their counterparts. Another important note about these cables is that the possibility of video degradation is quite high going these distances. The general rule is you should not run a video cable that is longer than 30' or you should expect some video loss or ghosting. 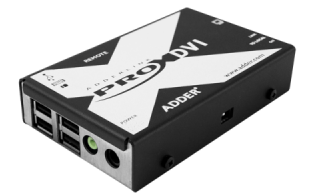 The most versatile extender is a Digital KVM Extender or KVM Over IP. Due to trademark issues there are many different terms that mean accessing your computer(s) over the internet. The most common term is KVM Over IP. Digital KVM Extenders allow you to access your computer over the internet with varying degrees of options and security. KVM Over IP can be used to access a single server or a whole data center depending on the unit you purchase. The category is too large to cover in one paragraph so that will be the topic of a later post. KVM Over IP is generally used in Data Center or Server Room environments where they have a large number of servers to control or when there is a critical server that someone may need to access when they are not in the office. KVM Over IP is not geared towards the home user and the price reflects that.